Superfans in sport are not as rare a sight as you may think. There’s always that one guy leading the chants, going to every game or being the life of the party in the stands. Superfans in sport are not as rare a sight as you may think. There’s always that one guy leading the chants, going to every game or being the life of the party in the stands. Do the teams benefit from their presence and activity? The short answer is yes, although being a distinctive superfan can sometimes even bring trouble to those dedicated individuals. However, the benefits greatly outweigh the risks. If you want to learn why you should focus on your superfans and how to do it, we have some insight, as well as stories about the most famous superfans in the world. Not all teams have superfans like the New York Jets’ Fireman Ed or the Chicago Cubs’ superfan Ronnie Woo-Woo. While some superfans will be boisterous and impossible to miss, there are types of fans who buy their season tickets and don’t miss any matches, but might otherwise keep a lower profile. Even if no fans are sporting special accessories and leading the chants on your team’s games, that doesn’t mean you don’t have superfans. For example, have a look at your social media — there are indeed fans who engage with your content, who always comment and facilitate discussion. People who regularly attend games are also easy to identify. 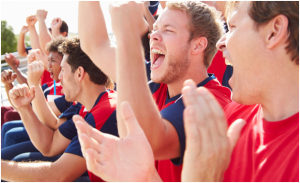 They are your superfans, and rewarding them for their loyalty can be rewarding for your team, too. Your fans aren’t supporting your team for the rewards it might bring, but it’s certainly a good incentive and a friendly approach to nurture loyalty. One way of doing that is through loyalty programs. 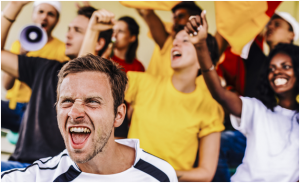 If you can make it into a win-win situation — providing increased revenue for the team while making your superfans feel appreciated — then it can be one of the best things you can do for your team’s future. Make sure that your loyalty program operates on a system that’s fair to all fans while giving the most significant rewards to those who are most loyal. Purchasing season tickets is always an excellent parameter to go by, but there are other things you might reward and even stimulate. For example, if you want better engagement on social media, all you have to do is figure out what a valuable reward for encouraging that may be. Ultimately, the most successful loyalty programs rely on more than offering incentives and rewards. When you manage to pair it up with providing the best fan experience out there, then you’ll know you’re on the right path. Of course, there are different ways of accomplishing that. The most recent rising star and the future of fan experience is the team app. Most fans spend a lot of time on mobile devices, so provide them with an app that delivers the information they crave. Contextual prediction gaming that nurtures their competitiveness, along with trivia that’s entertaining, is one of the most valuable assets of any team. With Fanisko Engage, you get a way to enhance your existing team app and provide your fans with the most engaging experience. 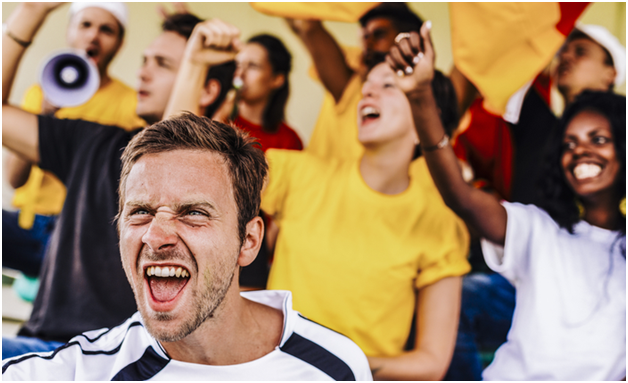 It’s certainly something your superfans will appreciate, and it can help with your efforts to create a valuable loyalty program. For more information on our platform and its features, visit our website. 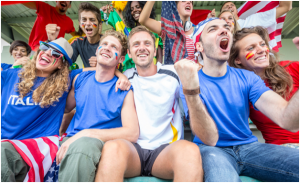 Sports teams have intricate relationships with their fans, often based on devotion, loyalty and a bit of a love-hate dynamic, depending on how well the team is doing. Many books are about that relationship and its uniqueness. Sports teams have intricate relationships with their fans, often based on devotion, loyalty and a bit of a love-hate dynamic, depending on how well the team is doing. Many books are about that relationship and its uniqueness. Teams depend on their fans, but fans rarely ever abandon the teams they’re supporting. You can’t overstate the importance of fans in the functioning of a team, but it also can’t be explained in a few words. And to have the fan engagement you want, you often need to have your fans’ story heard. Let’s have a closer look at the team-fan relationship as well as how sharing fan stories can affect overall engagement. Nobody can pinpoint exactly how or why fans pick the teams they will support. Sometimes it’s a family tradition, other times the reason can be as trivial as the color of their jersey or their name. Most of the times, it’s fascination with one or more players. What’s important to remember when it comes to this relationship is that the sports team eventually becomes a fan’s expression of self, an extension of their identity. It is what creates that strong sense of belonging. What urges fans to say “we” instead of “the team,” what causes them to be so enthralled with the team successes, and so disappointed with unfavorable match outcomes. So how do fan stories help engagement? When we scratch under the surface and take a look at why even the teams with the worst win-loss track record have devoted fans, we conclude that it isn’t about winning or losing. It’s about sharing an experience with other like-minded individuals, the electric atmosphere of the field before a game, and the unique sense of belonging. When a fan shares their story, other fans can immediately relate — and they’ll want to share their experience. It is why it’s important to encourage this kind of interaction. Put your fans front and center! Let them tell the world how they fell in love with your team and why. Give them a unique experience, both on the field and off it. Engage the fans through social media and encourage them to share and connect with other fans. It facilitates stronger connections within the fandom, as well as its stronger connection with your team and a rise in engagement. Give them a place to discuss match outcomes, tactics, a way to compete with each other on who’s more knowledgeable about the team and the sport. Team app is one way of letting your fans’ stories be heard while increasing engagement. With our SDK-integration platform Fanisko Engage, you can improve your existing team app or build a new one. It offers plenty of features that align with the goal of enhancing the fan experience by getting the fan base to interact. Making an impact with team apps is possible, primarily when they can provide you with ways to engage fans even when no match is currently being played. Check out our website for more information about Fanisko Engage and its unique features that bring team apps to the next level. For the most passionate hockey fans, nothing beats the feeling of being there, at the rink, watching the games unfold. But once the game is over and fans go home, what’s there to do other than wait for the next game? Fantasy sports have gotten popular for a reason — for the teams, it helps keep fans in touch with the latest news, and for the fans, it’s a way of showing how well they know the sport and being competitive in their way. So if you want to engage your fans, make them play team-related games! It doesn’t have to be fantasy — you could have them take part in quizzes and offer cool prizes for the best players. Augmented Reality stations and Mixed Reality games are also a cool way to both use the latest technologies and keep fans engaged at the rink. Either way, fans will jump at the opportunity to test and prove their knowledge about their favorite team, especially if the prizes are attractive enough. Exclusivity is a way of making your team-related content more interesting, and it also helps it be perceived as more valuable. It’s a great way of engaging fans beyond the rink. For example, you can offer them a player interview that they won’t be able to find anywhere else, or follow a player for a day to get a glimpse into a hockey professional’s day-to-day life. Fans appreciate when they can get a look behind the scenes, so you can have content that reflects that as well. How does a professional prepare for a game? What are their rituals, their routines, and way of thinking before a match? At least through video content, offer the fans a chance to go “backstage” and see how things work if you wish to increase engagement. All this and more becomes possible with an SDK-integrated platform that can improve your existing team app or help you build a new one from scratch. Fanisko Engage offers a multitude of features, including AR and MR gaming, fantasy leagues and predictions, as well as content that connects fans and also keeps them in the loop regarding the latest team news. Once you provide them with exclusive content they’re craving, your fan engagement will shoot up, which opens the door to more effective marketing and better ROI. Ultimately, how you choose to engage fans is up to you, but some solutions can make that job so much easier. For more information on how we can help, visit our website and take an in-depth look at the features of Fanisko Engage.